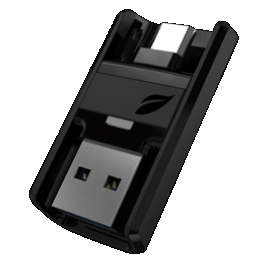 If you've never heard of Leef Bridge, it's an upcoming flash drive that doesn't discriminate between PCs and smartphones by having a USB port on one end and a MicroUSB port on the other. The company pushes the device as the quickest way to move files between a computer and a phone - and now it just got even faster. 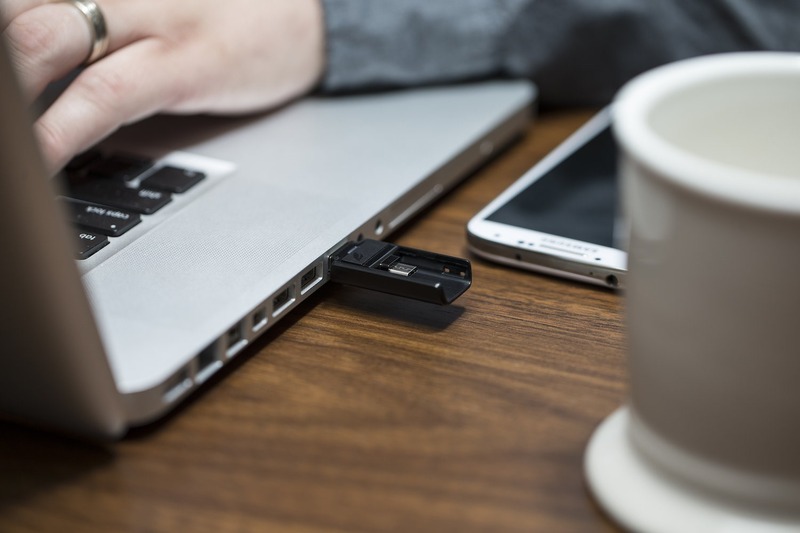 Leef Bridge has made the leap from USB 2.0 to USB 3.0, which means zippier file transfers for anyone who picks up the flash drive once it goes on sale in January. 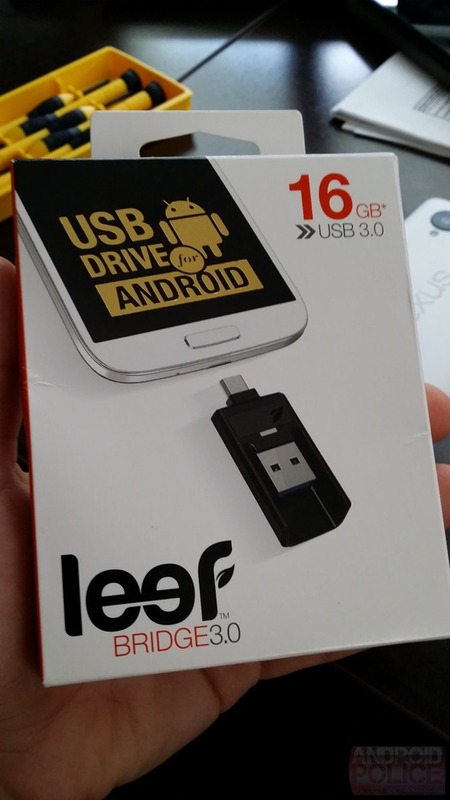 To be more specific, Leef Bridge is coming to store shelves on January 19th and will be exclusively available through RadioShack for 60 days. 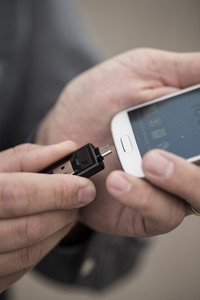 It will work with devices with USB OTG support that are running Android 4.1 or higher. Buyers won't have to deal with any proprietary software, so you can stick with whatever your file manager of choice is. The 16GB model will retail for $19.99. The larger 32GB option will set you back $34.99, while the largest 64GB model will go for $69.99. 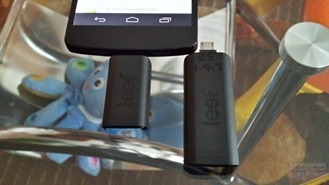 Leef Bridge isn't the only device of its kind. 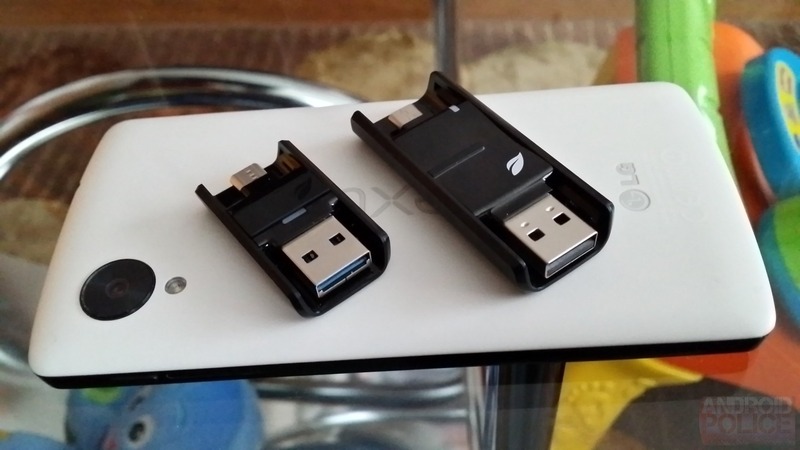 Sony unveiled a similar product just last week, but like the prior iteration of the Bridge, it uses the slower USB 2.0. To see if Bridge will be compatible with your device, view the lengthy compatibility list provided in the first source link below. Update: A few photos of our own. This thing is small - much smaller than Leef 2.0!